Dry cow diets remain the best way to deal with subclinical hypocalcemia in dairy cows, says Tom Overton and Allison Kerwin. Overton is a dairy nutritionist with Cornell University and director of the ProDairy Program there. Kerwin is a Ph.D. candidate studying with him. “Pre-calving nutritional management is the only way to robustly improve subclinical hypocalcemia,” says Overton. But he adds work done by Kerwin with a calcium binder suggests more study of that approach is warranted. 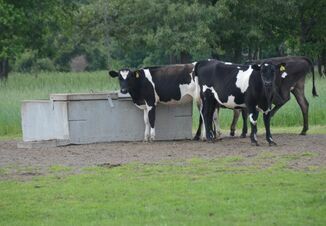 Most farms have solved their clinical milk fever problems, with most reporting only 1 or 2% of cows afflicted with it. However, some 40 to 80% of cows are subclinically affected for up to a week after calving. 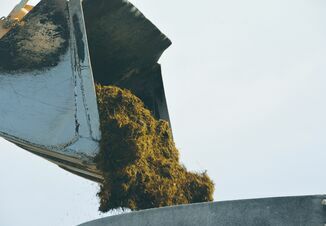 “Some drop in calcium may not be the worst thing in the world, but if cows don’t recover it could become a problem,” says Overton. These subclinical cows are at risk for a whole host of ailments, including retained placentas, metritis, displaced abomasa, subclinical ketosis, mastitis, decreased milk production and poorer reproduction. Calcium treatments at calving and routine oral calcium boluses (or drenches) typically don’t work well for preventing subclinical hypocalcemia. 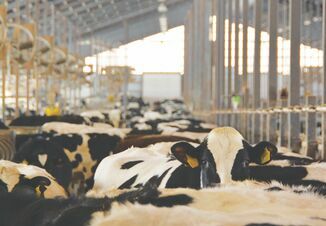 “IV calcium can even be detrimental if cows are only subclinical, because they can become hypocalcemic 20 to 40 hours after treatment,” Overton says. Subcutaneous calcium treatment isn’t effective either. “We also really question blanket treatment with calcium boluses. Not only are they costly but appear to be beneficial only in selected groups of high-risk cows,” he says. Where boluses can be effective is in older cows with body condition scores above 3.5, those that are lame and those in their third or higher parity. First-calf heifers with body condition scores above 3.5 might also benefit. “Older cows really respond well to the more negative DCAD diets,” says Overton. In one study, cows in the medium DCAD diet produced about 3 ½ lb/day more milk than control cows. Cows on the low DCAD diet responded with 7 lb/day more milk. But Overton notes that TMR mixing must be consistent and particle size must be such that cows can’t sort feed. He also recommends using proven commercial anion supplements with good palatability. A second approach has been the use of calcium binders in the dry cow ration. These binders have been available in Europe, but are only now coming to the United States. Kerwin, Overton’s Ph.D. student, tested one product, Zeolite A, in a 60-cow study. She found that far fewer cows had hypocalcemia at calving if fed the product. Just 30% had low calcium when fed Zeolite A compared to 80 to 90% of the control cows. However, that difference did not translate into greater dry matter intake, body condition score or even milk production. Butterfat was higher, which resulted in a trend toward more energy-corrected milk. The other positive trend was in reproduction. Half of the treated cows were pregnant by 70 days in milk. It took half of the control cows another cycle (19 days) to become pregnant. But the difference was not statistically different, she says. You can listen to an hour-long ProDairy webinar on hypocalcemia here.